Isco is an unmarried man till now. He is in a relationship. Se is dating Sara Salamo, an actress. They confirmed their relationship in October 2017. He used to like her pictures which she shared on her social media handle. But he confirmed their relationship after seven months. Her girlfriend keeps sharing their pictures via her social media handle, Instagram. But now the Sara has been getting death threats because of her “crazy lifestyle” and she has complained to the Spanish police. Sara has a son, Francisco Alarcon Calderon from her previous relationship with Victoria Alarcon. They separated in the year 2015. He dated Victoria Calderón from early 2010 to 2015. The couple was together for over five years. They together had a son named Francisco Alarcón Calderón in 2014. After their breakup, he began dating model Carmen Munoz in 2016. The couple has been in a relationship for a year now and their relationship is going very well. Isco is a Spanish professional football player. He currently plays as an attacking midfielder for the Spanish team Real Madrid and the Spanish National Team. He joined Real Madrid in June 2013. Before joining the Spanish giants, Isco spent two seasons with the Spanish team Málaga from 2011 to 2013. 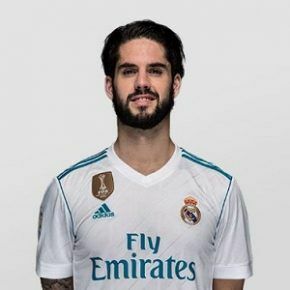 Isco was born on April 21, 1992, in Benalmádena, Spain. His birth name is Francisco Román Alarcón Suárez. He is the son of Spanish parents Paco Alarcón and Jenny Suárez. Isco has not revealed any information about his childhood and early life. His educational background is unknown. He usually doesn’t talk about his private life in media and public. He prefers people focusing on his work rather than his personal life. His nationality is Spanish and he is of Spanish ethnicity. Isco began his career in football at a young age. As a child, he played for the Atlético Benamiel of Spain. As a small child, he trained at Valencia CF‘s youth team. He made his debut with Valencia CF on 11 November 2010, against UD Logroñés for the campaign’s Copa del Rey. In his debut game, he scored two goals in a 4–1 home win. He then made his first La Liga appearance on 14 November 2010; in a 2–0 home win against Getafe CF. Isco signed a five-year contract with Málaga CF in mid-July 2011. He scored his first goal for his new team in a 3–1 away wins against Racing de Santander on 21 November 2011. Isco won the Golden Boy award in 2012. He played two seasons with the Málaga CF. He then signed a €30 million contract with Real Madrid in June 2013. Isco played his first game for Madrid on 18 August 2013, against Real Betis. He scored a goal and an assist in his first game. After joining the club, he received limited opportunities in the first team due to the 4–3–3 formation not being suited to his style. In his first season with the club, he scored 11 goals in 53 official games. Currently, he wears shirt number 22. With Madrid, he has won one La Liga, one Copa del Rey, three UEFA Champions Leagues, two FIFA Club World Cups, and two UEFA Super Cups. Iso has played for the Spanish national team at various youth levels, including at the 2012 Olympics. He made his senior international debut on 6 February 2013, against a 3–1 win over Uruguay in Doha, Qatar. On 15 November 2014, he scored his first international goal for Spain in a UEFA Euro 2016 qualifying match against Belarus in Huelva in a 3–0 win. He currently has an annual salary of 4 million dollars and a net worth of 12 million dollars. Rumors are that Isco will leave Real Madrid for the EPL team Manchester City this summer. The rumors have not been confirmed yet. In April 2017, Isco trolled FC Barcelona player Pique after Barcelona suffered a 2-0 defeat against Malaga. After the loss, He tweeted several tweets mocking his rival team and the player Pique. For his act, many football fans criticized him for mocking senior player of the same national team. Throughout his successful career, he never became a part of any big controversial issues. Isco is 5 Feet and 9 Inches tall. His weight is 74 kg. He has a dark brown hair. Similarly, he has a dark brown eye. He and his team Realmadrid enters the way to the semifinal and will be facing their opponents on Tuesday, April 24 and Wednesday, April 25. He is active in various sorts of social media like Facebook, Instagram, and Twitter. He has around 2,978,491 followers on Facebook. He has more than 4.47 million followers on Twitter and has more than 11.3m followers on Instagram. The story of Dr. Bennet Omalu and the discovery of presence of Chronic Traumatic Encephalopathy in football players!